A few years ago, I announced kind of a break from diabetes blogging. At the time, I felt I’d gotten what I wanted to from it, and I even started an unrelated blog (which is still out there) on retro pop culture. I still update that blog every so often, but it’s certainly not regularly, mainly when I’m motivated to do something. Most of my diabetes-related social media activity is on my Twitter feed these days. That’s still very much alive and well, no thanks to Google’s effort to kill RSS in favor of proprietary APIs similar to what Facebook was doing. That effort failed spectacularly, and now, Google Plus is teetering on the edge of irrelevancy and there are rumors of Google acquiring Twitter. 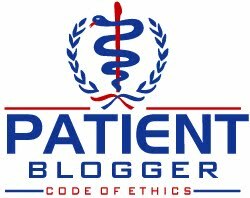 These days, I only blog when I have something to say about diabetes that no one else has -- and it’s much harder today because there are sooooooooo many d-bloggers nowadays! So I’m now planning to take Scott’s Web Log in a broader direction. Sometimes it will be about diabetes, but sometimes it will be about other things I’m interested in. Part of it is because my perspective on a diabetes “cure” is that it’s not likely to happen in the foreseeable future. In spite of some promising avenues, too many have bombed in clinical trials, which says to me there’s still a lot that needs to happen before a cure occurs. Part of the reason I’m thinking about my own future is that 2015 was my parents’ 50th wedding anniversary, which has made me think more about my own future. Aside from a big surprise party we threw for them, we also sent them to San Diego to commemorate the occasion. My dad was in the Navy during the Vietnam days so my mom and newborn sister lived there for a few years back in the mid-1960s. While my parents visited me several times when I lived in the Bay Area of Northern California back in the 1990s, they haven’t been back to San Diego in a half century. So much has changed since then, they hardly recognize the place anymore, although they did get to visit a park down the street from where they used to live, but that’s about all they recognized. They extended the trip and went to Grand Canyon and Las Vegas which they might not have done otherwise (with my aunt and uncle who live near Tacoma, Washington), so I’m really glad I was able to give them the opportunity. Fortunately, my parents are still relatively young and they've done a lot to prepare for their own senior years including remodeling their house to enable everything to be on the first floor, but a few years down the road, who knows what their condition will be? My aunt and uncle are a number of years older, and my aunt’s health is deteriorating, which is sad. It also has me thinking about when I reach that age. Back to my parents, at one point, I lived farthest from my parents, but now I happen to be the sibling who lives nearest to my parents; my sister and brother both live more than 1,700 miles away (by comparison, I live about 70 miles away). Care for them when they need it is most like going to fall on me and my spouse. That has me thinking more about my own future. I don’t want to sound like a big pessimist, but the reality is there’s nothing close to a type 1 diabetes (or type 2 diabetes) cure imminent, at best, we have some moderately improved treatments on the horizon. I remain hopeful, naturally, but I’ve already lived 85% of my life on earth with autoimmune type 1 diabetes, so the odds are not in my favor. My friend Scott Strange once gave me one of the best sayings about diabetes: "Diabetes is not a death sentence, but it IS a life sentence". We keep getting promises (usually to support someone's fundraising efforts), but to a large extent, I’ve voted with my time and dollars. It’s been a few years since I last walked in the JDRF Walk to Cure Diabetes. JDRF is an organization my parents were among the earliest supporters of back in the early 1970s, by the way, starting a few years after Lee Ducat and Carol Lurie (Carol passed away in 2013, incidentally) started the organization (my sister already had Type 1 at that time, but there weren’t yet local chapters in communities across the country). I still support their mission, but I’m fine letting another generation of people do the fundraising for the organization. They've have had a CEO carousel in recent years, and I’m tired of the routine CEO shuffle the organization now represents. I’ve been doing fundraising for nearly 40 years, so I really have no obligation beyond what I’ve already done unless I have the time or motivation to continue. For JDRF, that should be a warning sign. The former CEO acknowledged that there were more adults living with type 1 than kids, but I’m not certain Derek Rapp quite gets that. In recent years, I haven't paid very much attention to this particular blog. To be sure, the entire diabetes online community has evolved a great deal since blogging began more than a decade ago, and only a few of the original gang are still doing it -- at least routinely -- largely because diabetes has become something of a career for them. The others have done other things. But the bigger reason for my not blogging regularly these days isn't because I'm not actively involved in the diabetes online space anymore, but more because I've been putting more of my time into activities I did not do for years, but I now wish to spend more time on. I mentioned I got married two years ago (catch my post at http://goo.gl/RYIcK), and with that comes the typical things that any couple does to establish themselves as a household. But less acknowledged is that I'm 46 years old, and my spouse is 52 - neither of us are twenty-somethings (or even thirty-somethings) anymore, but people who really should really be concerning themselves with preparations for the next phase in life: retirement, which for me is likely somewhere around 15 years away (yippee on that!!). I am not overly worried about retirement (I alone already have saved the nearly amount most experts say individuals should have by the time they retire - and I'm still working - plus my spouse has even more put away than I have, as should be the case given the age difference). In spite of having already saved more than 1000% (yes, that's the correct number of zeros) of what the median middle-class American has saved for retirement, like all people, I still have concerns about retirement and making sure I have enough to live on comfortably in my golden years. New diabetes technology is prohibitively expensive, and for the most part, Medicare doesn't pay for a lot of it, so I do support JDRF advocacy efforts for that. However, unlike some people, my concerns aren’t that I'm decades behind where I need to be or worrying about volatile investment markets. Many people my age and older have too little saved for retirement and their opportunities for playing catch-up on something they should have been doing decades ago are more limited. But I just started a household a few years ago, while some of the people I graduated with have kids who have finished college already (paying for that, I'd guess, is a big reason they are among the people who have NOT saved as much as they really need to retire, but I digress). One of my concerns is that I still rent. True, I live in New York City where homeownership rates are significantly below what they are nationally. Homeownership is no guarantee for the future; but its an asset I don't have yet. I take comfort in knowing that outside the U.S., many people live very comfortably without actually owning a home -- ever. Switzerland, for example, has a homeownership rate of just 44%, and yet no one is claiming that the birthplace to Rolex watches represents an underdeveloped backwater. Germany, home of Mercedes and BMW, has levels that are nearly as low. Still, a home is an asset I cannot (yet) count on -- although I could still change that and enjoy the corresponding tax benefits (which are significant) that go with it. Aside from a lack of homeownership, a more significant concern is that we also have no children (truth be told, that's not something either of us consider an imperative; having children was never one of life's ambitions for either of us). Don’t get me wrong, I love children, but they don't have to be mine. Still, not having kids means one of the safety nets people tend to fall back on when they get old isn't going to be there for me and my spouse. Its something that many other couples don't have as a possible safety net when they get older (and the incidence is growing according to a number of media outlets, see http://ow.ly/NpGsp for one example), including couples who choose not to have kids or are unable to have kids for whatever reason (such as they’re too old) and that also includes many (but not all) LGBT couples. AARP has been looking at the issue (see the AARP study at http://bit.ly/1zi1R7i, and a New York Times article at http://nyti.ms/1BlVNHf) as have others, and the reports on this looming crisis are something to consider. The issue is that the caregiver ratio to retirees is down significantly and declining (blame the Baby Bust that happened following the advent of the birth control pill in the 1960s for some of that). I'm no fool (heck, I have more than 1000% than the median middle-class American has saved for retirement, and I'm not even 50 years old yet), and I recognize the issues that lie ahead. Being aware of these things enables me an opportunity to plan accordingly. Hence, those are areas I'm focused on right now. I will say that priority #1, since I was married, is already underway. Namely, getting citizenship status for my spouse. (It doesn't happen automatically, by the way). Permanent residency is a fairly straightforward matter, but citizenship is more complex. I listen to the non-debate in Congress on this matter, especially among the xenophobic lawmakers, and shake my head in disbelief -- and disgust. Key is they have no intention of fixing the very system they broke in the first place. This isn’t meant to be a political debate, but this is a reality I’m actually dealing with. Going through it personally, I'd say I'm more qualified to speak on the topic than many others. The immigration issue for me and my spouse will resolve itself in time; we have a very experienced attorney handling things for us and she’s been wonderful to work with. However, I am still offended to hear the things some people who have no clue what they’re talking about say when they speak on immigration issues. On the other hand, this isn’t new: it’s been going on in the U.S. for over 100 years. Once upon a time, it was about immigrants from Ireland, Italy and Poland, now its immigrants from Mexico, China, India, the Philippines and elsewhere. Not much new has emerged in the conversation. As I noted, having a place to call home is something all couples deal with at some point. While there’s no imminent rush, the tax benefits would be very real. I’m not looking for a McMansion in exurbia (I hate caring for a big lawn; mowing it, raking it ...), nor am I necessarily considering something in the middle of the city. I live in NYC now, but I’m not sure I want that’s the place I want to retire. Its expensive, noisy, crowded, somewhat dirty, and I’m at an age where I no longer live for the nightlife (as I said, I’m 46). But something I’ve been researching is some modern alternatives to the traditional American housing model. One thing on my radar is a type of housing that originated in Denmark (home of Novo Nordisk). The term in Danish is bofællesskab (which means living community), but in English, the term “cohousing” is the term usually used to describe these types of housing developments. Cohousing is a model of community that originated in Denmark, and includes private homes (most are organized legally as condominiums) on shared land, with a common house that may be used for functions that the community defines. Virtually all common houses include a large group kitchen and meeting space in the community-owned building. Typical activities in shared spaces includes group meals, meetings, music, guest lodging, laundry facilities, childcare, library space, or computer labs. Cohousing provides a choice between both privacy and community, and residents/owners can switch between the two as often as they wish. These aren’t some weird, hippie-dippie communes from the 1960s, but very modern arrangements. Think of them as condos with a community. The only real obligation is to take part in some meetings to govern the property. You can read a brief intro. at http://actorsfcu.makingfinancepersonal.com/2014/08/18/the-resurgence-of-cooperative-housing/ which is worth having a look at. Aside from that, you can be as involved (or not involved) as you wish. Not having children is a big reason these communities are more appealing than a stand-alone house or condo might be. Having more of a neighborhood helps to ensure residents are never completely alone as may be the case in other forms of housing. For an LGBT couple without children, this may fill a void that doesn't exist elsewhere; there's a built-in community, so you won't be alone even as you age (without kids). Ultimately, cohousing may potentially allow residents to age in place and hopefully skip the dreaded nursing home. By definition, these are communities that cannot be created by developers, as a result, developing them is a more laborious process. But the good news is that if you can get into one, the resale values are vastly superior to what a similar condo would be, and the resale values are universally excellent (assuming you ever want to leave). Its is not perfect, but neither is any other form of housing. But it’s unique in that it may enable us to live there longer-term even without children. While these communities aren’t everywhere, there are over 120 nationwide. Cohousing communities are especially popular out west (California has more than any other state, although Washington ranks among the tops on a per capita basis, as does Colorado). On the East coast, New England has quite a few (Vermont has more per capita than any other state), but outside of Virginia and North Carolina which both have quite a few, there are relatively few elsewhere in the south (for example, there are none [yet] in either Florida or Texas, although some are in various stages of development). The first one in my home state of Connecticut is being built just 6 miles from my parents home, and I’m at least thinking about it. However, I’m not quite ready to buy a home just yet. As I said, right now, buying a home is only a consideration and right now, I still have the immigration issue to deal with, so we’ll see what happens. But, as part of this, my real objective is to be able to share some of this journey on this blog. Just as some friends from the diabetes online community are speaking about their own issues (see Manny Hernandez’s eloquent post on his mother’s Alzheimer’s disease at http://goo.gl/5XV0u3). Type 1 diabetes isn't disappearing unless we happen to see a viable cure developed (and I’m not counting on one in my lifetime), so I’ll still write about that when I have something to add, but I also plan to broaden my editorial focus a bit beyond diabetes. I may try to code my posts somehow, so readers will know whether a post is diabetes-related or not, but I still have to look at how to execute that. So, that’s the direction for Scott’s Web Log going forward. It will be part diabetes, part other stuff. Who knows … maybe you’ll find the other stuff interesting reading!